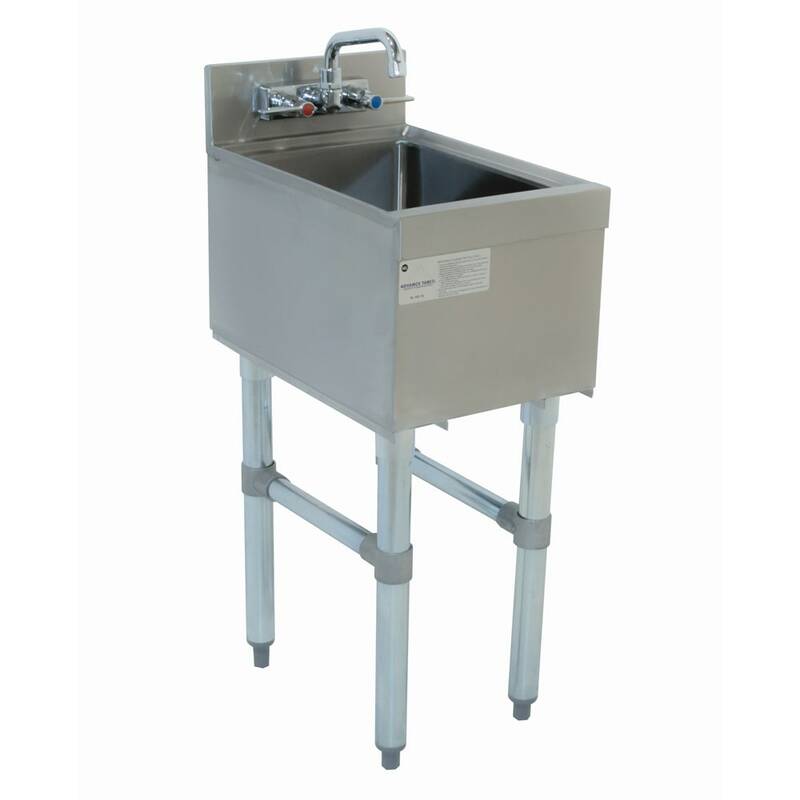 The Advance Tabco SL-HS-12-X hand sink is perfect for back of house use where employees need to wash hands before and during their shift. A 4-inch backsplash prevents water and soap from getting on other surfaces. Four galvanized legs make the hand sink durable, while the bullet feet are adjustable for uneven flooring. Galvanized cross-bracing is adjustable as needed. The stainless steel construction of the sink makes it durable for commercial use and resistant to corrosion. The Advance Tabco SL-HS-12-X hand sink comes with a K-125 swing spout faucet that mounts to the backsplash.